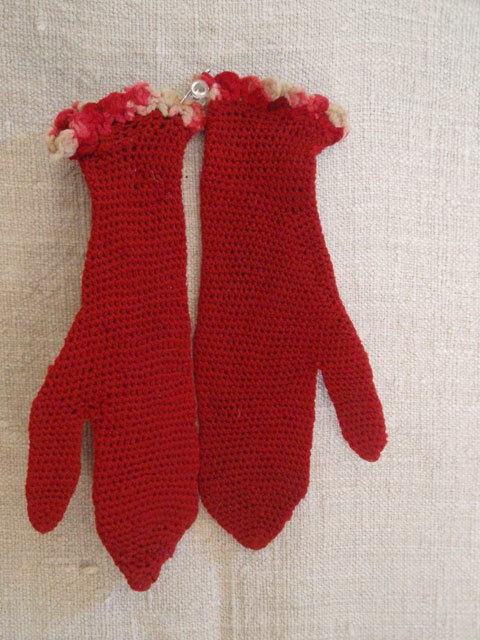 This is a very nice example of late 19th C Girl’s mittens. 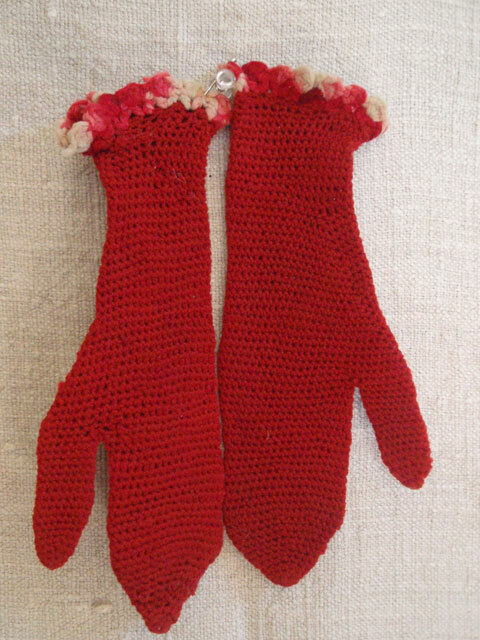 Entirely hand-done in red wool with a variegated wool lace edge, they measure 7 inches in length by 2 inches wide. They are in excellent condition with rips, holes or tears. Quite festive and gay, they are great for Christmas decorating!